For those that follow me on twitter we know that last week i ordered some Bumpits after hearing how great they are. I ordered them online for £3.40 including first class postage, and they arrived very quickly i was very impressed with the service. I was that impressed that i ordered another set but in brown - as im thinking of darkening my hair for winter. The Bumpits are basically a plastic hairband/inserts that gives volume to your hair turning it from flat to fabulous in seconds! They promise to be comfortable, self-gripping and simple to use. The pack was cute and came with 5 bumpits of different sizes. I have tried them in my hair a few times but im yet to wear them for a long period or on a night out - so i shall hold off for a review until they have been fully tested. These are a great concept for creating volume in your hair without needing to backcomb. Apparantly alot of celebrities wear them and they have been a big craze for over a year - im obviously slow to catch on! The only thing I would point out is im not sure how suitable these would be for someone with very fine or thin hair – I would think it would be difficult to cover the bumpit plastic up and keep it hidden. They are very comfortable to wear – you cant feel them in! The large and extra large stay in perfectly – and the small bumpit for the front section also stays in place, but I have trouble with placing the 2 smaller bumpits in the sides of the hair, they just drop out. Maybe i need more pracising with styling. You really need extra volume at the sides as it can look silly having your hair bumped up at the back and noflat at the sides – blends in better. I would say that it would be find to leave the sides if your planning to wear your hair half up half down with the larger bumpit at the back of thehead and scraping the sides back pinning. 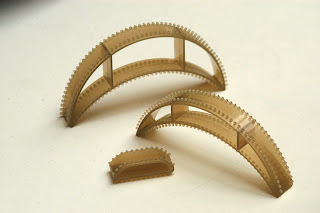 I bought these from ebay for around £3.50 including packaging – howver other places are selling them ranging from £10-25! I don’t think I would pay more than £5 for these- they are good but only a plastic hairband with a comb edge! I ordered 2 packs - the colours of blonde and brown as im always changing my hair colour! I would say even tho my hair is a carmel blonde colour at the moment the brown seem to suit better than the blonde. 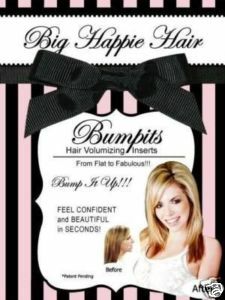 The pack of bumpits comes with 2 smaller bumpits for the front section of your hair, and you can also place these at the side of your hair to blend if your placing a larger bumpit on the top of your head. It comes with 2 large bumpits for creating more volume in the crown section. And an extra large (Hollywood) bumpit for full volume! I love having voloume in my hair and have recently been backcombing and hairspraying my hair to create my desired look. I find this doesn’t last and tends to fall flat especially if im on a night out. I have also noticed that the combination of regularly bleaching, dying, straightening, using heat along with backcombing my hair has left the section at the top of my hair extremely dry and damaged. My hair around this section feels extremely dry and almost afro like it gets tatty and matted very easily! I can only put this down to backcombing as I don’t have that problem in any other section other than the section I normally backcomb. The rest of my hair feels soft and shiney and in good condition. I have always used a good hairdressers professional shampoo and conditioner, and really notice the difference on the odd occassion i have used cheap or drug store branded shampoo, my hair just feels so dried out and straw-like. 4. I am using a mix of good (expensive!) shampoos and conditioners by loreal professional and keratase. 5. I only wash my hair never more than twice a week – my hair doesn’t get greasy and is naturally curly and dry so doesn’t need it. 6. I am also using dry shampoo if my hair is looking a bit dull and slightly greasy inbetween washes. 7. Once a week I use a strethening treatment by either loreal professional or ketatase. 9. 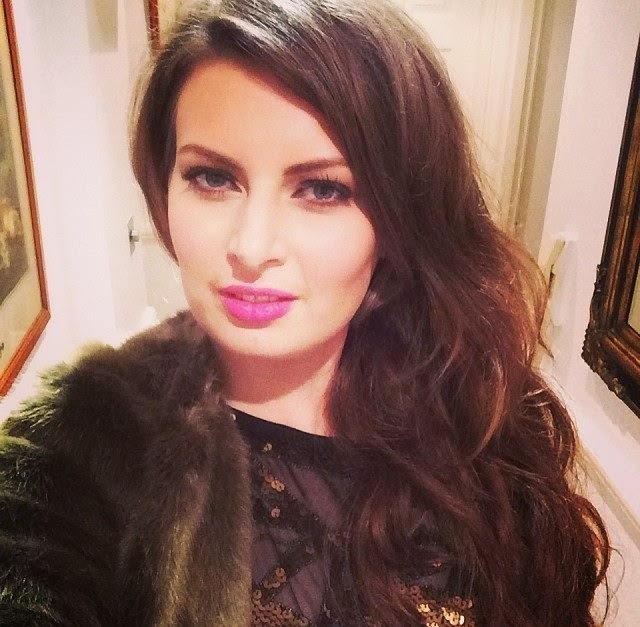 Im only using straighteners on my hair after I have first washed it or if I am going out. Sometimes If im just in the house I just tie my hair back and leave it without styling. 10. Using bumpits instead of backcombing. Which products do you swear by for your hair? Have you used bumpits before?